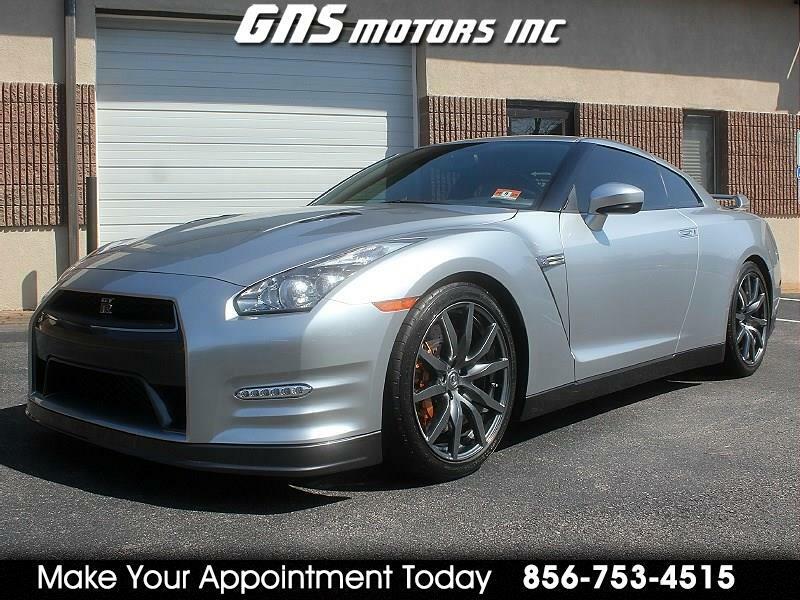 Used 2012 Nissan GT-R 2dr Cpe Premium for Sale in West Berlin NJ 08091 GNS Motors Inc.
2012 NISSAN GT-R AWD PREMIUM EDITION THAT IS IN IMMACULATE CONDITION!! WITH ONLY 17,521 MILES!! CHECK IT OUT ON YOU TUBE https://youtu.be/xHWwZhtJkNc * RUNS 0 TO 60 MPH IN FEWER THAN 3 SECONDS, AND HAS A TOP SPEED OF OVER 195 MPH!! IT IS COMPLETELY LOADED!! WITH ALL POWER OPTIONS * NAVIGATION * BACK UP CAMERA * PADDLE SHIFTERS * 7 FUNCTION DIGITAL GUAGE OPTION * HEATED LEATHER SEATS * BOSE SOUND SYSTEM * SATELITTE RADIO * USB INPUT JACK * BLUETOOTH * POWER FOLDING MIRRORS * STEERING WHEEL CONTROLS * DUAL CLIMATE CONTROL * NISSAN SMAR SCOOPS * FACTROY REAR SPOILER * FACTORY BREMBO BRAKES * BRAND NEW TIRES * 20 INCH ALLOY WHEELS!! ONLY 17,521 MILES!! MUST SEE!! 25 YEARS IN BUSINESS WE PRIDE OURSELVES ON NO HIDDEN FEE'S AND A NO PRESSURE ENVIRONMENT!! WE NOW OFFER AS LOW AS 3.99% FINANCING!! .. ALL CARS COME WITH A FREE CARFAX .. WARRANTIES ARE AVAILABLE ON MOST VEHICLES PLEASE CALL 856-753-4515 TO MAKE AN APPOINTMENT TO COME SEE AND DRIVE .. OUR VEHICLES ARE KEPT IN OUR INDOOR SHOWROOM SO AN APPOINTMENT IS NECESSARY .. FOR MORE PICTURES AND TO VIEW OUR INVENTORY ONLINE GO TO... WWW.GNSMOTORS.COM .. Message: Thought you might be interested in this 2012 Nissan GT-R.